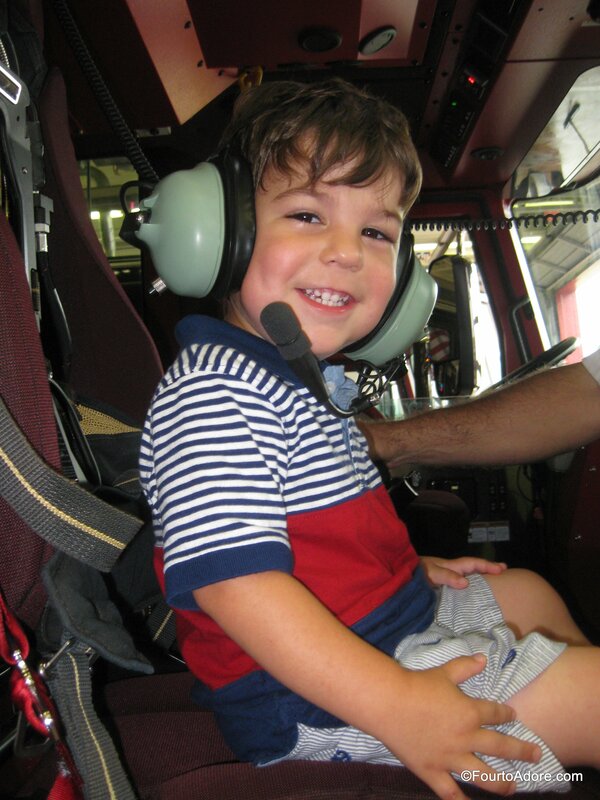 Several months ago, the quads developed an interest in emergency vehicles, signal lights, and first responders. Every single time they ride in the van, they inquire about the meaning of various colors of lights and point out when they see a fire truck, police car, ect. 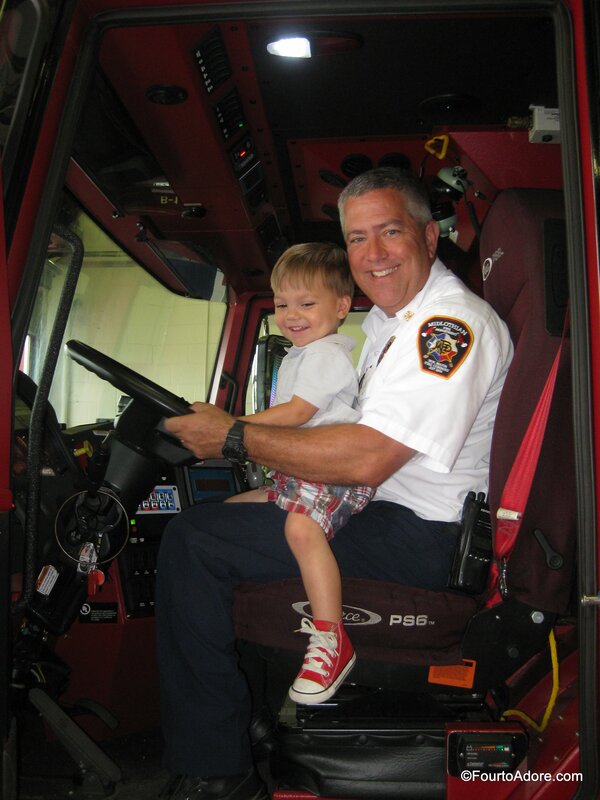 I suspect these new-found interests developed after they watched a few episodes of Paw Patrol and Fireman Sam. 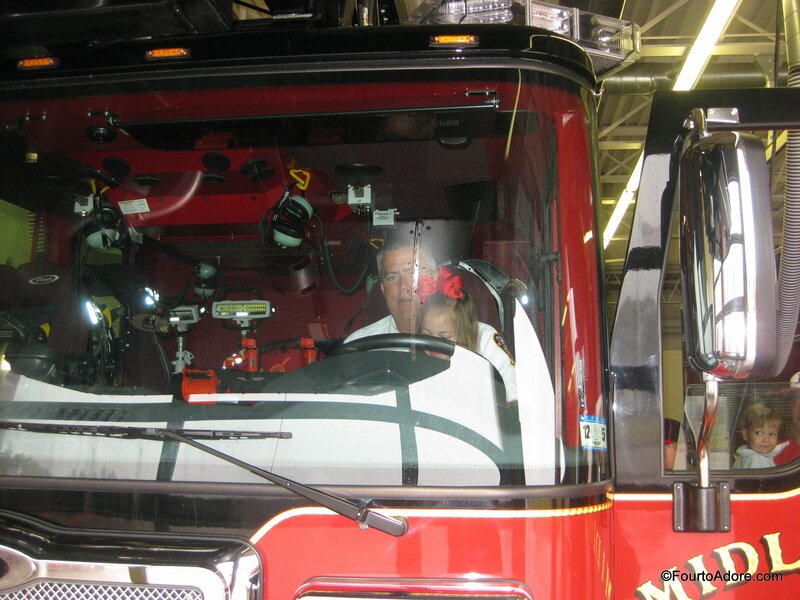 With this budding obsession, I thought it fitting to arrange a fire station tour where my uncle, Dale is fire chief. 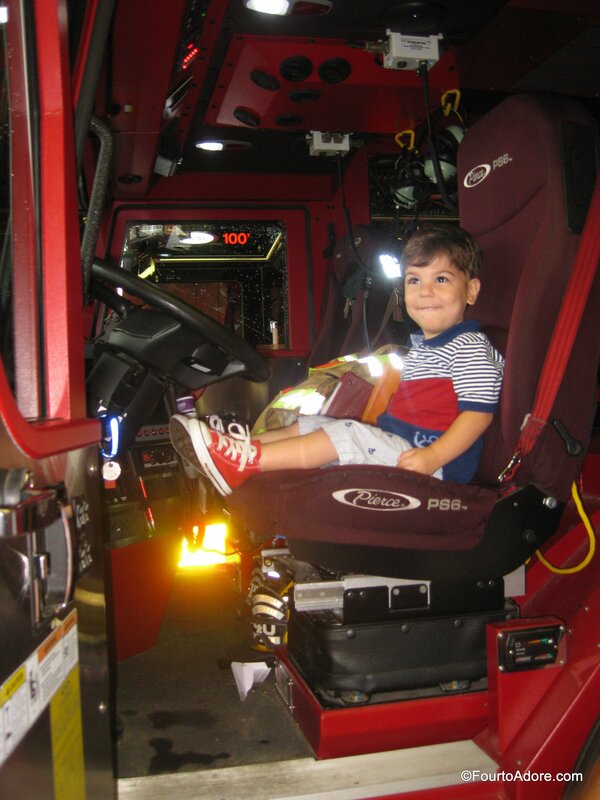 The quads could hardly contain their excitement when they discovered we would see inside of real fire trucks and meet firefighters. After a brief tour of the firefighter’s dorm area and living space, we had an opportunity to learn about the large fire trucks. Dale showed us how the trucks are filled with water and where cameras are located on the truck. 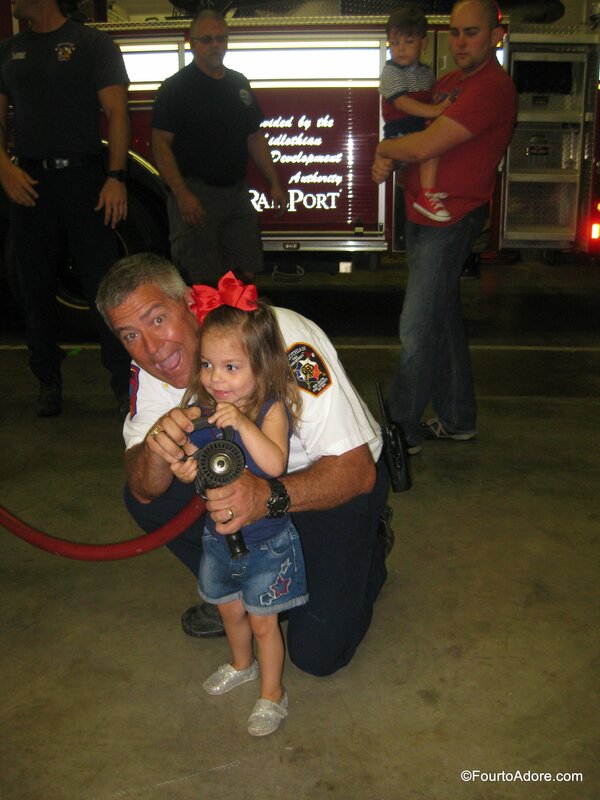 Then, Sydney seized the chance to touch one of the hoses. Everyone (except Rylin) sat inside one of the trucks and even wore headphones as Dale rattled off pertinent emergency information. 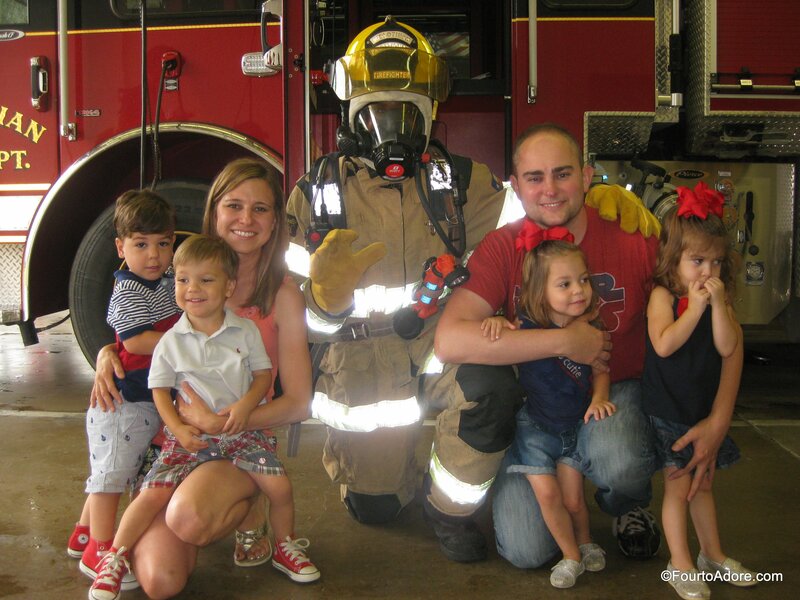 In the event of an emergency, young children are often frightened by the sight of first responders, namely firefighters dressed in protective gear. Dale asked one of the fire fighters to wear his full gear, including oxygen mask and to talk to the quads through the mask. I have to admit, seeing someone dressed this way can be intimidating, even to an adult. I’m grateful the quads had a chance to see this firsthand under controlled circumstances. 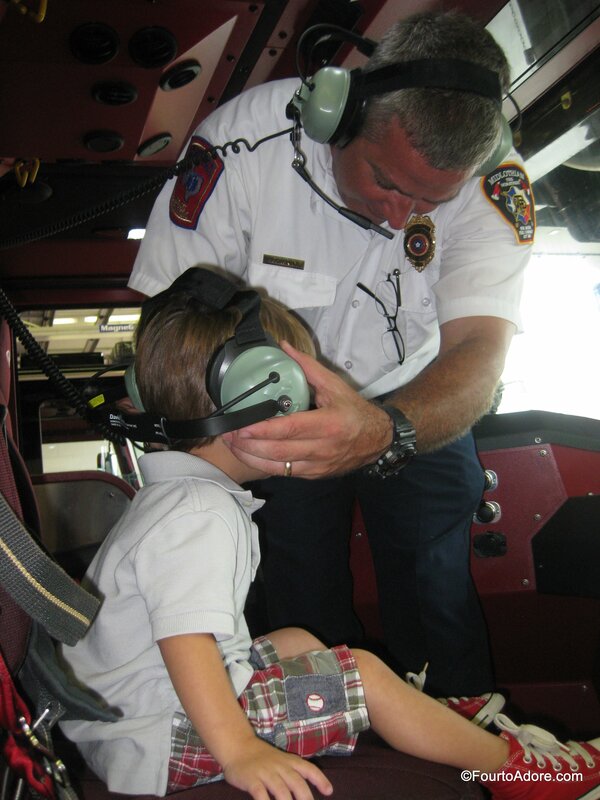 We will be having many more conversations about safety, reviewing these photographs, and will revisit the fire station. 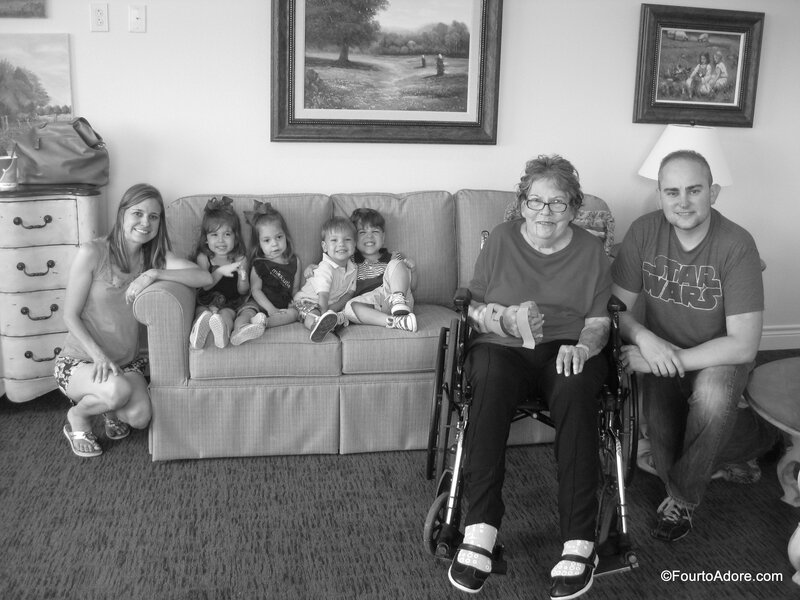 Following our fire station tour, we grabbed a quick lunch and spent the afternoon with my grandmother. There’s something special about the way young children and elderly interact. My heart melted as I watched Harper tell Grandma about everything imaginable from his wardrobe to his dimple and eyelashes. I think he may have a calling to work with the elderly as he gets older. 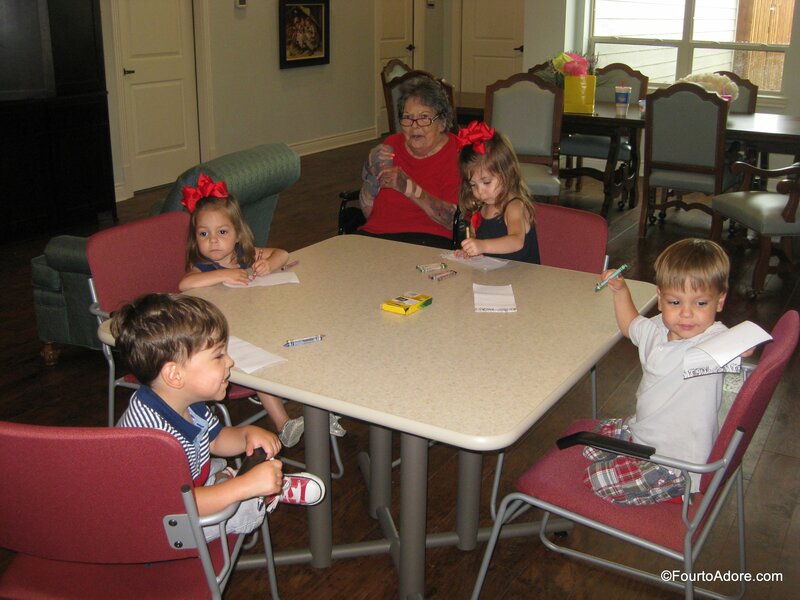 In addition to entertaining Grandma, the quads doodled pictures to share with her neighbors and participated in afternoon music time with her. My mom later told me Grandma recanted details from our visit so I know she appreciated it. 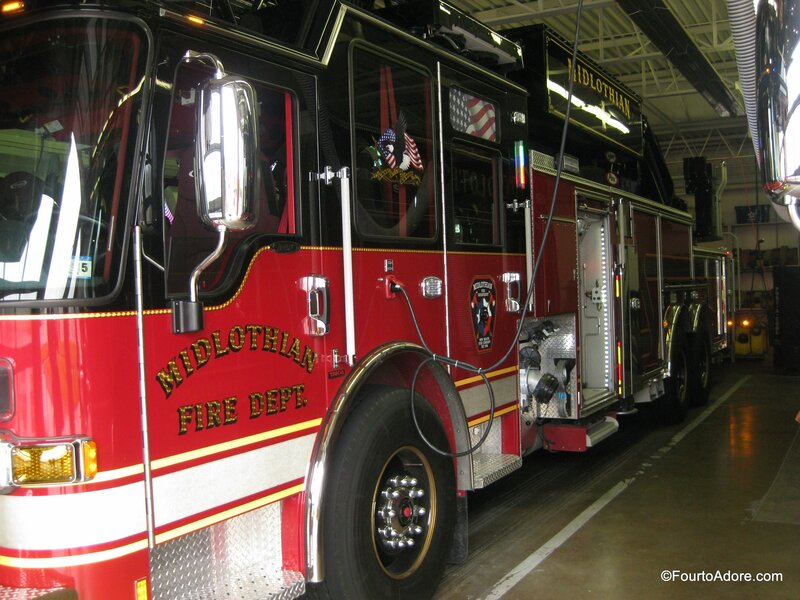 Thank you, Dale and the firefighters of Midlothian for allowing us to tour the fire station and teaching us about your duties. We are grateful for the many brave men and women who serve our communities and our country. 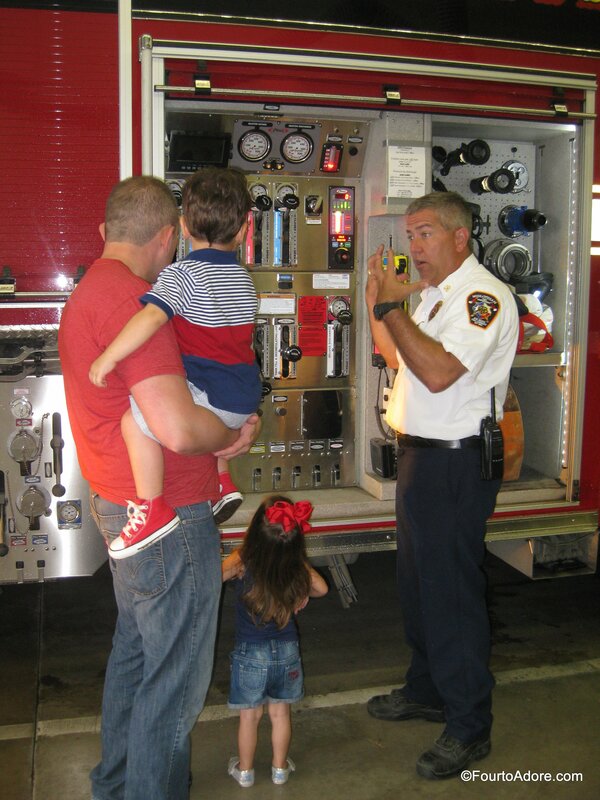 If you are interested in taking a fire station tour, check with your local fire station for tour details. 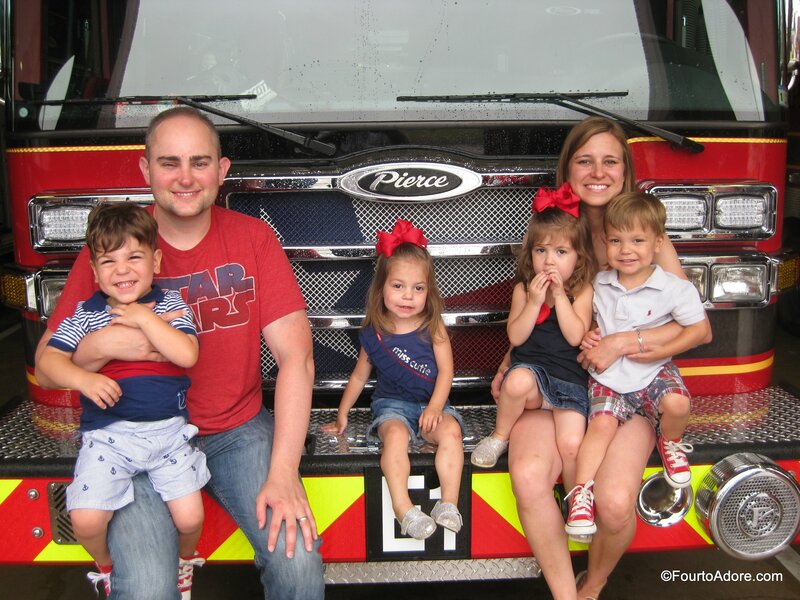 For Dallas-Fort Worth locals the following cities have tour information available on their websites, which are linked to this blog Dallas, Fort Worth, Arlington, Keller, Southlake, Carrolton, Frisco, and Allen. Cheers for another item marked off our summer bucket list!!! Amber, I’ve never connected but have been reading along from the beginning. 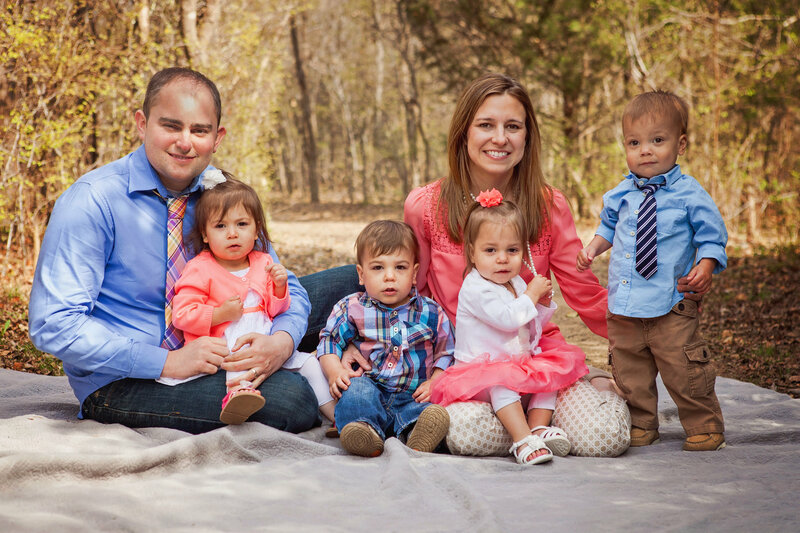 I cannot believe how big your 4 have become! 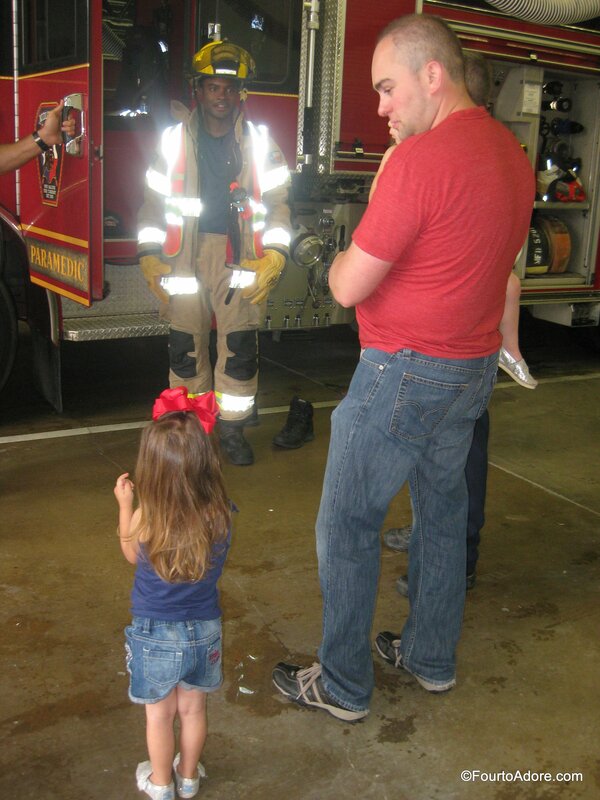 And a trip to the fire station was a great idea! Thank you for stopping by! I love hearing from readers. I can’t believe they are almost THREE. Where does time go?!?! Your family is so beautiful. I love all your posts, you’re an amazing mommy! I’ve been looking at fun things to do with my little guys and have found some ideas from your list! Thank you for popping by! I’m so glad you got some new ideas to inspire your summer. Have fun with your twins!